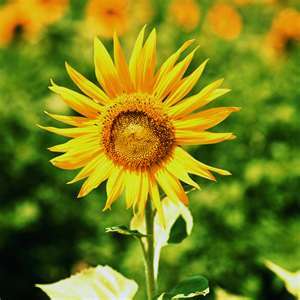 info-now.org/GardenTips: Seasonal Garden Care - Garden Planting and Transplanting Tips. "Garden Planting & Transplanting Tips" discusses Seasonal Garden Care - How and When to Plant New Garden Plants and How and When to Transplant Established Ones. Search terms: seasonal garden care, garden planting and transplanting tips, gardening, transplanting, planting, when to plant, when to transplant garden plants. The best time to get out your garden tools and scrubby clothes to plant or transplant plants in your garden is during early spring, when new leaf buds begin to swell on the stems, just prior to the leaves maturing. During this period, plants are still semi-dormant and the trauma of moving them is much less. If it is late spring and leaves are mature it is recommended that planting and/or transplanting is deferred until the fall, when the cooler temperatures and shorter time of daylight trigger a decrease in physiological processes within the plant in preparation for their seasonal state of dormancy. Care. Before purchasing your plants find out which zone you live in and purchase those hardy enough for your zone. Most plants have labels that list it's intended zone. When purchasing, bare root plants are easier to handle than those surrounded with an earthen ball. However, which ever you choose, it is best to transplant into the ground as soon as possible. When planting trees or shrubs, dig a hole three times as wide as the earthen root ball - but no deeper. Whether preparing a shallow bed or deep shrubbery hole, make sure the area in which you are planting has good soil drainage. 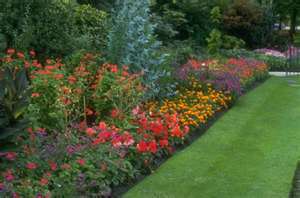 Take care not to plant in areas where the soil stays damp much of the time. Soil consistency at the intended site should not appear clumpy or clay-like. Clay soils can impede the adequate drainage of water so work soil well until soil is homogenous and smooth enough to ensure proper drainage and root expansion. The addition of mulch might be required and, at this point, some fertilizer can also be added. Fertilizing is a great way to keep your plants healthy in all climate zones - even during the fall in temperate areas since many plants will still grow through this time. Prior to planting make the sure soil, mulch and fertilizer are mixed well. Often, many homeowners have a tree, shrub or plant in their garden that they feel just isn't right for a particular location and want to transplant it to another area. It is very important for the homeowner to realize that, during this process, great care needs to be taken. Many times established transplanted trees or shrubs can go into "shock" - a severe condition that may result in major growth set-backs or death. It is always a good idea for the homeowner to check with their local nursery professional regarding the time of year, procedure and environmental preferences required for the species they are planning to relocate. Bare root planting should be only carried out during early spring, when the plant is still dormant. Watering: During the first year after planting or transplanting, deep water plants often but let them dry out between watering. 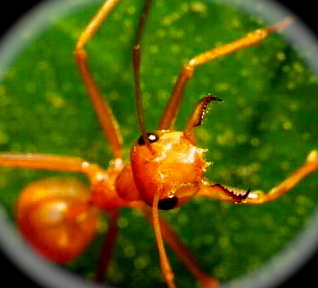 Insect Pests: Once your plants begin to grow and blossom check them for insect pests. Treatment depends upon the type of pest you find. However, it is important not to wait to treat. For example, Japanese Beatles have voracious appetites and feed in groups on over 300 species of plants, ranging from roses to poison ivy. They can eat all the leaves from your plants in no time and, if this happens, the tree or plant will die. Pruning: Pruning is done primarily for the following reasons: to promote flowering and promote higher fruit yield, to improve the health of trees, shrubs and plants, to improve aesthetics and /or appearance, to control growth, to maintain a desired shape and to remove dead, damaged, diseased and infested limbs. To keep your plants looking their best and to maximize new flower growth, pinch off spent blossoms as they die. Contrary to popular belief, it is not necessary to "prune" or thin one third of the branches of trees after planting. Winterizing: Preparing your garden for winter will minimize cold damage to sensitive plants and ensure they will survive come spring. Many plants become dormant when weather seasons change. Proper winter preparations, like the construction of a wind-break or the covering of sensitive plants with mulch or burlap wraps, protects them from damaging frost and northern winds, so they can adapt and survive these unsympathetic conditions. Supportive, winterizing measures help assure that when plants awaken in the spring they are in good health and ready to flourish. 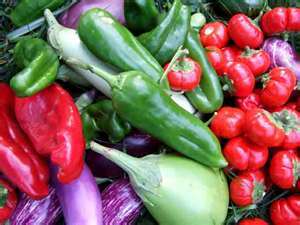 Points to Remember: Gardening Hobbies and Tips. 1. Planting holes should be three times as wide as the earthen root ball but no deeper. 2. To minimize shock, plant or transplant plants with earthen root ball during early spring or late fall. 3. To minimize shock, bare root planting should be carried out during early spring only, when plant is dormant. 4. Place plants in the ground very soon after purchasing. Gardening. 5. For the first year after planting, soak / water the plants often. Let it dry out between watering. 6. Make sure all potted or in-ground plants have good drainage. 7. Be careful not to over water or under water. 8. Water well after fertilization. 9. If movable, place plant in a protected location to recover. A beautiful landscape or a magical-looking garden is the result of a bit of knowledge coupled with a fair share of desire, commitment and dedication by the tending person. Knowing when to plant, what to plant, how to plant, where to plant and how to care are the secrets to a wonderful, healthy garden. 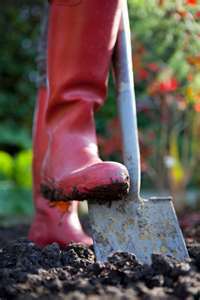 Gardening Hobbies: This article gives tips for garden planting and transplanting - when and to how plant, proper seasons to do so and how to care for newly planted trees and shrubs. info-now.org/GardenTips provides Garden Planting & Transplanting Tips, Seasonal Garden Care, How and When to Plant New Garden Plants, How and When to Transplant Established Garden Plants. Pararas-Carayannis, Carolyn (2008). Garden Planting and Transplanting Tips. Info-Now.Org Website: http://info-now.org/GardenTips/GardenPlantTransplTips.php . Garden Planting and Transplanting Tips by Carolyn Pararas-Carayannis Provides tips for seasonal garden care. How and When to Plant New Garden Plants and How and When to Transplant Established Ones.